Sheridan is located along Interstate 90 in north-central Wyoming just south of its border with Montana. As the seat of Sheridan County, the community is the center of a large rural region. Sheridan has seen steady population growth over the past twenty years, and the community has enjoyed continued commercial development, despite the nationwide economic slump. Downtown Sheridan has remained the civic, cultural and economic center of the area, as Downtown Sheridan Association and its partners have focused on the continued planning and revitalization of the community’s core. The most recent of which was the Downtown Economic Development Strategy (DEDS) completed in 2010. 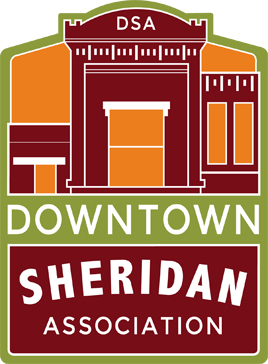 That plan set out to assess the long-term sustainability of historic downtown Sheridan, including developing recommendations for parking and traffic improvements, building restoration, and urban design. The plan included high-level market research, and strategies for business development.